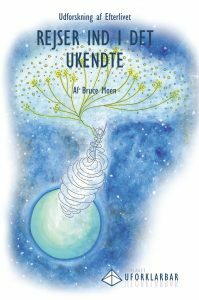 When I hosted Bruce Moen’s Exploring the Afterlife workshops in Copenhagen I used to share my own and other participants’ experiences on Facebook and in conversations. That often provoked some specific reactions that I would like to comment on. When I shared links to the workshop, often people who said no to participating also added “I’m choosing to live in the now”, “I’d rather speak to the living” and stuff like that with a wink that told me that they didn’t quite get my interest in the Afterlife when there’s a life to live here and now. My interest in traveling inward (upward/outward?) is by no means fueled by a desire to escape my life here and now. Far from it. It’s a curiosity to learn more about who and what I am. A curiosity that has been sparked repeatedly by personal experiences that tell me that this physical world might not only consist of the things we can touch, smell, taste, see and hear. I don’t long to be in a different and “better place”, but I think that by understanding how life itself really “works”, I can make this life and the physical world better for myself and my surroundings. And, none the least, I find it very interesting to challenge the things I believe in, sort of in the same way that other people find it interesting to explore other countries’ cultures, languages, food, religions and people, and thereby broaden their own horizon. Some people simply don’t see what’s so great about talking to a dead person. It’s not that they question the reality of it, necessarily, but even if it’s real, they just don’t think it matters. For me it matters tremendously if the world works the way science says or not. It matters to me emotionally if the people I love are completely gone when they are dead, or they are actually still around. It matters to me personally if I actually have access to tools I don’t know about because I’m limited by my beliefs. It mattes to me if I can trust what my senses are telling me. And it matters to me if what others (schools, churches, parents and others who are allowed to affect our beliefs throughout our lives) are teaching me is the truth or just illusions. Having been in contact with a dead person doesn’t give all the answers, but to have experiences that conflict with our beliefs is an effective way to broaden our horizon, and it’s a good place to start.